Safe Teen Driving Blog - Page 51 of 67 - Safe Teen Driving Blog - Providing a solid base for teen drivers by improving behavior, attitude, skills and experience. Many parents hope that when they teach their teenagers how to drive, their children will do as they say, not as they do, when it comes to driving. But this hope may be unrealistic. Research indicates that children mimic their parents’ driving behaviors from as young as two years of age, so a parent’s bad driving habits may be deeply ingrained by the time training for a driver’s license begins. And teens are notoriously intolerant of what they view as hypocritical advice. When this is combined with over-confidence in their own abilities, your teen could develop bad driving habits early in the training process. Before you begin teaching your teen to drive, it is a good idea to review and correct any poor driving habits you have developed over the years of driving. Remember that when your teen repeats these behaviors, s/he is doing so without the benefit of your years of driving experience and highly developed driving skills. A good first step is to review your driving handbook. This will also assist you in knowing what important beginning driver training concepts to reinforce during lessons with your teen. As you review the handbook, make notes on the driving behaviors you need to change. For example, many drivers become lax about using the turn signal every time they change lanes, pull out from a parking space, enter or leave an expressway, or turn at intersections. Lax driving behaviors are more likely to occur in familiar settings, so pay particular attention to your driving as you travel to and from work and school and on errands. Pretend that these routes are unfamiliar to you. How would you change your driving behavior? Take different routes to and from work, school and errands. Does your driving improve? Third, begin training early by talking to your teen about your own driving behaviors. As you drive, point out potential hazards as you scan ahead. When you take action, explain what you are doing and why. Teaching teens to drive should be a process, not an event. It’s important to realize that whether you intend to or not, you are teaching your child to drive every time you get behind the wheel with your child as a passenger. Motorcycles are less stable and less visible than cars, and they have high performance capabilities. For these and other reasons, motorcycles are more likely than cars to be in crashes. And when motorcycles crash, their riders lack the protection of an enclosed vehicle, so they’re more likely to be injured or killed. Per mile traveled, the number of deaths on motorcycles is about 26 times the number in cars. A rider who isn’t wearing a helmet is 40 percent more likely to suffer a fatal head injury, compared with a helmeted rider. 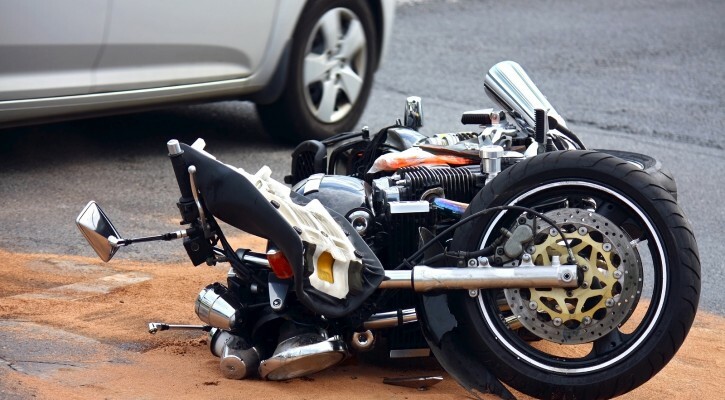 The actions of motorcyclists can affect motor vehicle operators in numerous ways. When you follow a motorcycle, remember that motorcycles have the ability of stopping much more quickly than other vehicles in emergencies. Following too closely endangers your life and that of the motorcyclist. In addition to maintaining a safe following distance from motorcyclists in front of you, check your rearview mirror and be aware of motorcyclists following you. When a motorcyclist is following you, be especially careful not to make any sudden stops. Weather and road conditions present greater problems to the motorcyclist than to the driver of a motor vehicle. A puddle may hide a hole that jolts your car; the same hidden hole can throw a motorcycle out of control. When it rains, reduced traction makes it difficult for a motorcyclist to balance. It is more difficult for the motorcyclist to stay in control on slippery roads. Wet or icy roads impair a motorcyclist’s ability to brake and maneuver. Wind gusts can move a motorcycle across an entire lane. Gravel roads decrease traction and may cause a rider to slow down or brake where a car would not. Allow extra space for motorcycles in all adverse conditions. Use extra care when you are following a motorcyclist that is crossing railroad tracks. Railroad tracks present a special problem for motorcyclists, because motorcycle tires can get caught in the grooves of the crossing, causing the rider to lose her or his balance. When you are following a motorcycle that is carrying a passenger, use extra caution. Passengers change the way the motorcyclist should operate. A motorcyclist who is inexperienced in transporting a passenger may have extra difficulties with balancing and controlling the motorcycle. Learn more about motorcycle safety and sharing the road with motorcycles. 1. Learn the material in your driver handbook, not just so you can pass the test, but so you can carry the information into your driving behavior. 2. Memorize the graduated licensing laws in your state. Not only must you follow them, but you shouldn’t ride with anyone who isn’t following them. 3. Talk to your parents about their expectations and the rules you’ll have to follow to use the family car or get your own vehicle. The time to refine the rules is now, before you have your license. 4. Encourage your parents to let you practice driving in unfamiliar areas, at night, when it’s raining, and on expressways, not just on familiar streets close to home during daylight. 5. Learn to scan the driving scene ahead so you can anticipate problems and react in time. Ninety percent of driving decisions are based on what you see. 6. Sign a driving contract with your parents, specifying driving rules and curfews. Incorporate your state’s graduated licensing laws into the contract. The contract should include an agreement for your parents to pick you up, no questions asked until the next day, should you be unable to drive or ride with someone else for any reason. 7. Ask your parents to let you continue practice-driving occasionally; every new driver can use the extra training. 8. Minimize distractions in your vehicle. Keep the radio volume low, put your cell phone away, and ask passengers to minimize conversation. Wear your safety belt and make sure all your passengers wear theirs. 9. NEVER use driving as a stress-reliever. Drivers who do this often speed or get distracted. Learn to manage stress in healthy ways – by taking a walk, taking a nap, talking to a friend, or volunteering. 10. Read the warning labels on any medicines, including over-the-counter (those that don’t require a prescription); many medications cause sleepiness or dizziness and shouldn’t be taken while driving. Read our most recent post on Teen Drivers and Prescription Drugs. And of course, NEVER drink and drive. Vehicle breakdowns are stressful and can even be frightening, depending on the circumstances. If your vehicle won’t start in a parking lot, you have the advantage of being stopped in a safe place, but if the breakdown occurs while you are driving, you must take immediate action to ensure the safety of you and your passengers. First, don’t panic. Panicking may cause you to make the situation even more dangerous. Stay calm and follow a logical progression to get your vehicle safely off the highway. Your first action should be to slow down. You should also look for a safe place to pull over, but you must have slowed your vehicle sufficiently to use the space you locate. Remember that if you pull off the pavement, your vehicle will lose traction; if you haven’t slowed down enough, your vehicle could skid. Once you have located a safe place to pull off the road, try to park where the disabled vehicle can be seen for at least 200 feet in each direction. Avoid pulling off in a curve or near a hill. Move the vehicle so all four wheels are off the pavement or traveled portion of the roadway. Turn on your emergency flashers, tie a white cloth to the left door handle or antenna, and raise the hood to indicate that your vehicle is stopped and disabled. Be careful when exiting the vehicle. When the way is clear, exit carefully but quickly and close the driver-side door behind you. Walk to the passenger side of your vehicle. Passengers should exit the vehicle on the side away from traffic. As with your own auto insurance rates, your teen’s rates are comprised of several factors believed to determine the risk the insurance company takes when selling you a policy that covers your child. Unfortunately, teens fall into a high-risk category at once due to age – mile for mile, teenagers are involved in three times as many fatal crashes as all other drivers. Since you can’t do anything about your child’s age, it’s important to try to minimize the cost of your teen’s insurance in ways you and your teen can control. First, make sure your teen understands the concept of auto insurance – how much it costs, what it covers, and what makes the premium increase or decrease. Ask your agent how much one traffic violation on your teen’s driving record will raise your rates (usually two to three times) and explain the consequences of a traffic ticket to your teen. Make sure your teen understands that keeping premiums as low as possible is part of her or his family responsibilities. Second, make sure your teen is driving a regular, safe vehicle – nothing fancy or high-powered, but nothing too old either. Older vehicles may not have safety features, which help keep your teen safe in a crash and also help you earn insurance discounts. 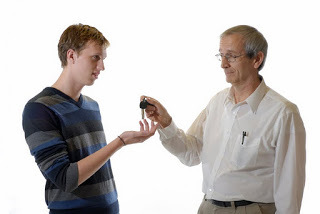 Third, continue driver instruction for your teen even after she or he is licensed. 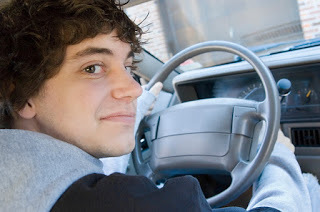 Learn the graduated driver licensing laws in your state and be sure your teen complies. Ride with your teen periodically to be sure she or he isn’t slipping into bad driving habits. Monitor your teen’s cell phone bill to make sure the teen isn’t making calls or sending texts during times she or he is usually on the road. Fourth, enroll your teen in driver education courses and treat these courses just as seriously as you do other aspects of your teen’s life. Too many parents pass their attitude about driving courses on to their teens – that driver training is boring and time-consuming with little reward. Since driving is the leading cause of death for people up to age 34, it’s the most dangerous thing your child will be doing for a long time. Teens are not mature enough to realize this independently, and will take their cues from you.